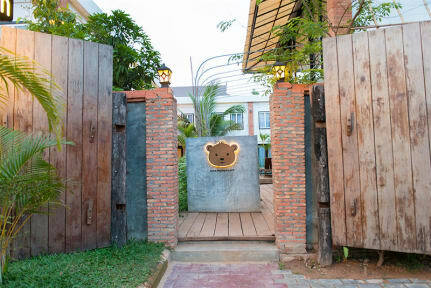 Day Day Inn, Siem Reap, Kambodża : Rezerwuj teraz! 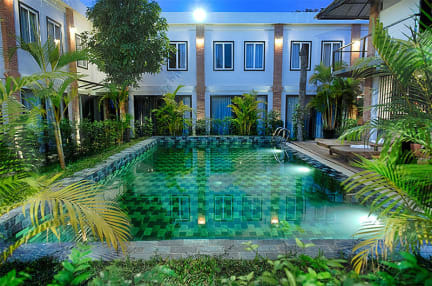 Day Day Inn is reasonably priced for the budget-conscious traveller, so you don’t need to break the bank when you visit Siem Reap. The rooms are bright, fresh and modern, set around a relaxing pool and leafy garden. We offer tour and travel services to help you organize your visits to the nearby sights and attractions, as well as free airport pickup. The Deluxe Double Room is equipped with everything you need for a comfortable stay, including air conditioning, 32” LCD TV, and an ensuite bathroom with hot water available. The Deluxe Double Room is on the ground floor for easy access.